"“A brilliant lawyer who is careful to understand and adapt to the needs of the client. He is also always looking for practical solutions” - Chambers Europe"
Răzvan is one of the most well-known Romanian professionals in his areas of expertise. He created the strongest intellectual property team on the Romanian market, a very dynamic competition law team and a very successful arbitration practice. His efficacy in pharmaceutical law projects is highly appreciated by clients, while his litigation record shows impressive results. 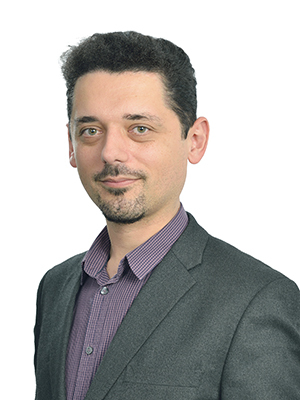 Răzvan teaches contract law and intellectual property at the University of Bucharest. He acted as an expert for the European Union, the World Intellectual Property Organization, the Romanian Ministry of Justice and the National Institute of Magistracy. He published on three continents more than 100 studies, out of which 10 books. Since 2012, he is Vice Dean of the Faculty of Law of the University of Bucharest.